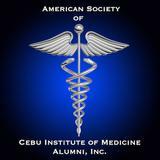 The American Society of CIM Alumni, Inc. is proud to announce that our Annual Reunion CME and Festivities is on July 10-14, 2019. The hotel for our 2019 ASOCIMAI reunion is now available for booking. The below reservation link is now activated for attendees to book. One may also contact the reservation number below. In addition, if you choose, you are able to guarantee a Lakeview room upgrade prior to your arrival. Upon visiting the website, you will be offered 2 different types of rooms: a standard deluxe room at the group rate or the upgraded view room for an additional fee on top of the group rate.